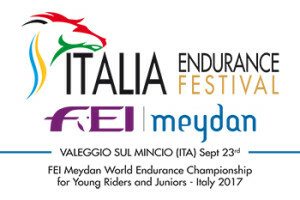 Valeggio sul Mincio (Vr) , Parco Sigurtà, will be the location of the next FEI Meydan World Endurance Chapionship for Juniors & Young Riders 2017. Valeggio’s racecourse is fast but technical at the same time due to different types of ground: a hard and straight track along the river and beautiful trails across the vineyards, typical of these hilly landscapes. 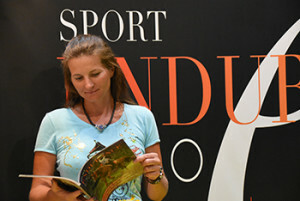 Will be held in Valeggio others categories like the FEI OPEN Meydan Italia Endurance Cup CEI2*, CEI2YR, CEI1* and the really appreciated CEI2* Ladies. Rajas recently won the H.H. Sh. Mohammed Al Maktoum Endurance Cup CEI3* ridden by Humaid Matar Rashed Al Mazrooei. Tell us his story, starting from his birth till the day he was sold. Who bought him? His father is Perfect de Lafon (Padrons Image x Papouchka) and his mother, Muse de Gargassan, was born in the breeding center of Gargassan. My friends Bertrand, Christine Valette and I bought Devitsa, the mother of Papouchka, in the Netherlands. Papouchka became world reserved champion in show beauty due to her powerful movements. 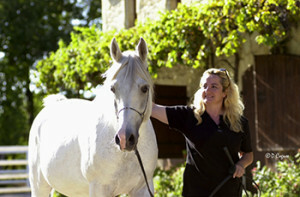 I consider movement and body one of the most important elements in a horse. I visit the UAE my first time in 2002, I was a groom of my two cousins at the President Cup in Abu Dhabi. My second time I visit Dubai, was in 2005 for the World Championship in Endurance. I was helping and grooming my sister Rebecca during the race. She was participating the 160-km race with our family horse Zahib. During that stay, I made a lot of friends here in Dubai. Visiting the UAE, a several times and did a few races here in the desert. The story started back in the late 60’s when Jean-Marc Valerio, French jumping rider, fell in love with a stallion noticed on L’EPERON magazine: Alhabac. Two years later, he finally managed to find that horse in Spain, near Malaga. 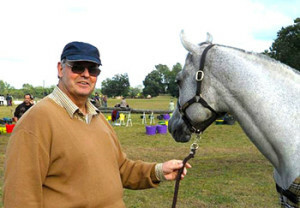 The horses were already promised to Dr Laredo but Jean-Marc Valerio managed to bring Ispahan back to France, a mare by Alhabac and foal of Galero. When asked why he chose Ispahan, he explained that she had no outstanding qualities but definitely no defect. The term “Grand Slam” is often used in tennis; this word actually originates in the game of bridge to indicate the greatest win possible and requires the player to successfully contract for all 13 tricks, a seven-level contract. The French rider, trainer and breeder, Stéphane Chazel (1968), makes his entrance in the FEI Endurance Committee. He was appointed for a four year term, following the decision taken by the FEI Bureau in Tokyo on 19 November 2016. 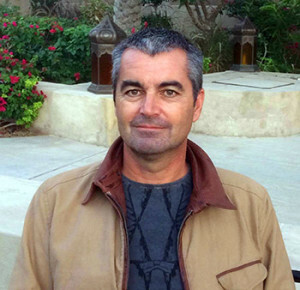 Mr. Chazel is replacing the outgoing member Khalid Ahmed Hasan (BRN).